Much of this newly-constructed row of ten beach huts on the Moray coast has been quickly snapped up, but there may still be some available in this or subsequent builds – a total of 30 beach huts are currently being planned for this utterly beautiful stretch of coastline. 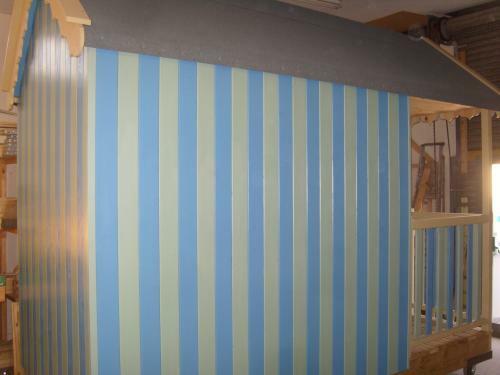 These huts are small beach shelters rather than being suitable for short-term occupancy and are therefore more in keeping with the location. Contact details for potential buyers will be added here soon. In the meantime you can use the Contact Page to send us a message if you’re interested. 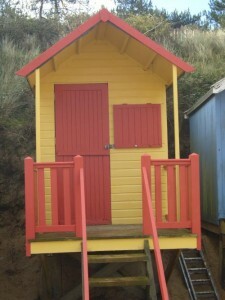 Beach hut for sale at Wells-next-the-Sea, Norfolk. Beach Hut No 31 is a lovely beach hut on the highly sought-after beach at Wells-next-the-Sea, Norfolk. Just a short distance from the Wells beach car park, with the coast watch and lifeboat stations nearby. The location has absolutely stunning panoramic sea views. This is your chance to get the beach hut you always wanted in a very popular location, right on the ever-popular North Norfolk coast. 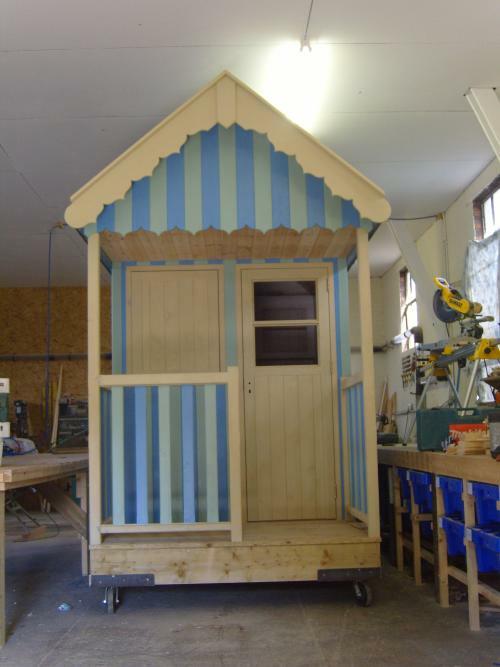 This ready-constructed beach hut is sitting in the workshop ready to be placed on site. 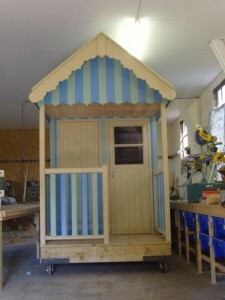 With casters attached for easy movement and finished in shades of blue and cream, this hut is just about ready to go! Please call on 07931 594137 or use our contact page if you’re interested in snagging this one!